Starring: Maggie Smith, Richard Gere, Bill Nighy, Judi Dench, Celia Imrie, Dev Patel, Tina Desai, Tamsin Greig, and Penelope Wilton. Directed by John Madden. Rated PG (Mild coarse language and sexual references) 122 min. This is a British comedy-drama which is a sequel to the popular movie, “The Best Exotic Marigold Hotel” (2012), which was based loosely on the 2004 book, “These Foolish Things” by Deborah Moggach. The original movie took cinema-goers by storm, appealing particularly to those over 41, the ageing, and the elderly. This movie, like the original, was filmed on location in India. 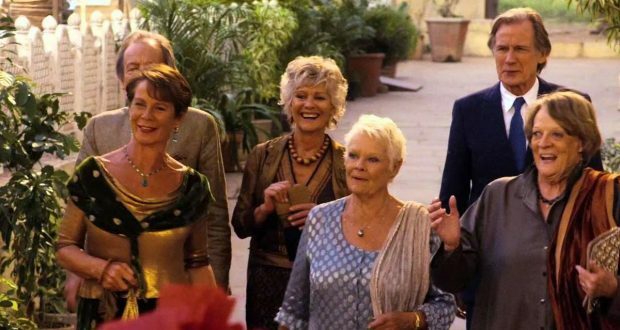 “The Best Exotic Marigold Hotel for the Elderly and Beautiful”, was featured in the 2012 movie, and in this film, is now under the co-management of Muriel (Maggie Smith), who keeps a stern eye on its daily workings. Everyone accepts the hotel’s charms and deficiencies, but it is clearly running down, and out of space. Evelyn (Judi Dench) is still determined and strong-willed, and Muriel is still a little racist. Muriel and Sony (Dev Patel) go off to California in search of funds for a new hotel, and much of the film has the viewer guessing who is the evaluation consultant sent to check things out. Two additional people, Guy (Richard Gere) and Lavinia (Tamsin Grieg), arrive at the hotel, and their plight as newcomers highlight the deficiencies of the hotel that is still standing. Sony, who is responsible for the hotel on behalf of his mother, has had the fantasy of establishing “The Second Best Exotic Marigold Hotel” for a long while, but his worries about bringing his dream to fruition are beginning to affect his forthcoming marriage to Sunaina (Tina Desai). She is the love of his life and someone he doesn’t want to lose, and the financing of another hotel is too distracting for him. With the popularity of the original movie, it was inevitable there would be a sequel. Two good reasons exist for that to have happened. First, the original cast was wonderfully adept at delivering sharp one-liners that made for wonderful comedy. Maggie Smith and Judi Dench were perfect for doing this, and they do it again with additional help from Bill Nighy, Celia Imrie, and Penelope Wilton. The second reason rests in what might be called “The Richard Gere Factor”. Richard Gere has been an icon of romanticism, stemming from his role with Julia Roberts in the 1990 movie, “Pretty Woman”. His appearance in this movie creates an air of irresistible romantic nostalgia that the film milks unashamedly, guaranteeing the movie’s popularity with the very audience that loved the 2012 original. There is not a lot that is different in this film from what was present in the 2012 film. The original was enjoyable, and so also is this sequel. 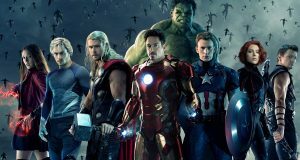 Although the plot struggles with thinness and the character development of those in the film is superficial and slight, the skill of the ensemble acting ensures that the comic intent of the original film stays relatively intact. When members of the original cast were so good, it makes sense to use them once more. So much is the same, however, it is most unlikely there will be a third, Exotic Marigold Hotel. 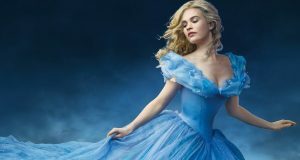 At the end of this film, all the main characters pair off and ride away to what Muriel calls “a happy conclusion”, having formed new relationships that have provided predictably escapist comic fare. Everyone seems to be taking the relationship plunge to try to make things work, and we have no idea about the consequences. Like its predecessor, the film laughs “with” other cultures rather than “at” them, and its comic thrust is counter to prejudice. Gone is the comedy associated with people who don’t know India and have to be wooed by its fascinations, but the movie continues to offer insights into ageing. It does so mainly through witty one-liners rather than good character development, and it dramatises relationships by over-sentimentalising available attachments. Each of the people in the movie has experienced difficulties or suffering of some kind in the past. Time is running out for most of them, but their humanity as individuals is intended to overcome our preconceptions of who they are, who they might have been, and what they will become. 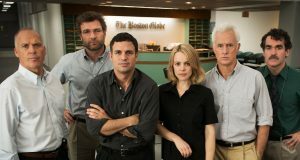 This movie is very warm-hearted, and filled with familiar performances that are geared primarily to entertain. India continues to project its extraordinary colour and vitality. And Dev Patel, in the role of Sony, shows us his incredible dancing skill, substituting a hotel wedding reception scenario for the scenes of joy on Mumbai railway station (in “Slumdog Millionaire”, 2008) in the film’s enthusiastic final moments.